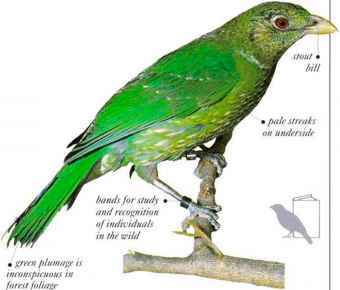 I his rain forest species belongs to the bowerbird family, although it does not build a bower. It feeds mainly on fruit and tender young leaves in the middle levels of the forest, but occasionally descends to ground level, moving in bounding hops interspersed with short, heavy flights. 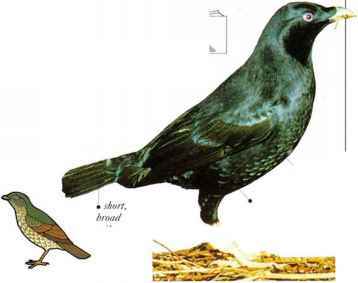 Although normally quiet, the male bird becomes demonstrative when breeding. Calling with a catlike, wailing note and bobbing his head and body, he chases after females. • NliST A cup nest, located in a tree fork, a tree fern top, or a vine tangle. • DlSTRIBl TION E. Australia. 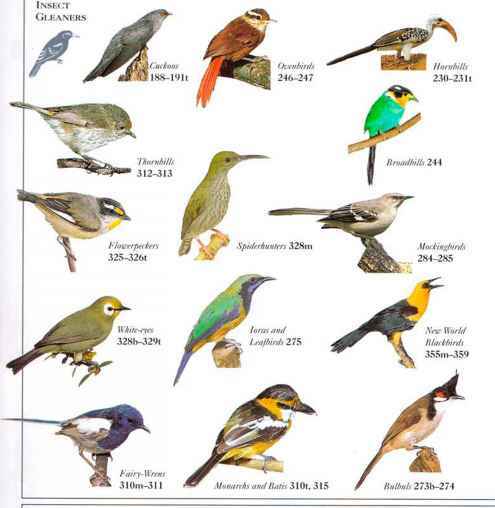 • REMARK Unlike the true bowerbirds, the male mates with only one female. He defends the nest and helps to rear the young.